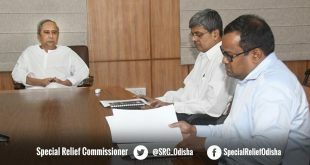 Bhubaneswar: Odisha Chief Minister Naveen Patnaik made a visit to the ongoing Smart Janpath Project under the Bhubaneswar Smart City Limited (BSCL) on Saturday. He spent some time understanding the project brief, the progress so far and how the project is going to benefit the citizens in a great way, under the Smart City banner. 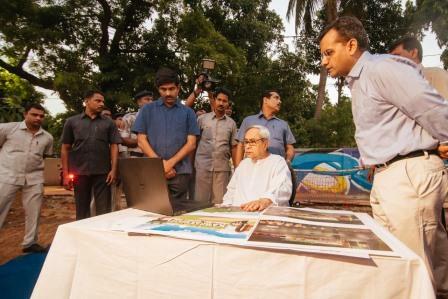 The Chief Minister went through a presentation, saw the various drawings, inspected the work being undertaken including the specific corridors along the road and expressed his pleasure over the progress. He, however, asked the authorities concerned to implement the work on time. Various features and components of the Smart Janpath Project include the redevelopment of Janpath Road includes streetscape design, beautification, landscaping, intersection redesign, and infrastructure upgrades with the construction of new pavement, rehabilitation of existing pavement, construction and/or rehabilitation of major and minor bridges, culverts, road intersections, interchanges and drains. The citizens will be greatly benefited as the Janpath Road has been envisaged as the People’s smart Path and it would have a dedicated corridor for pedestrians, cyclists etc. The entire stretch shall have active public plazas, proper crossings on the junctions, street furniture, dedicated vending zones. The present status includes construction of stormwater drains, laying off of underground cables, laying of different utilities etc. in progress. City-based RKD Construction Pvt. Ltd Is the implementing agency for the project. 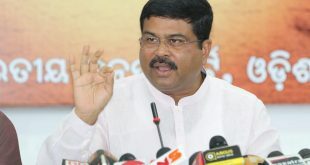 On May 31, the Chief Minister paid a surprise visit to the Bhubaneswar Operations Centre at BMC-Bhawani Mall in Saheed Nagar, where the BSCL is developing a city-based command and control centre.